Home > 2011 > 10 > 29 > openSUSE Weekly News Issue 199 is out! We are pleased to announce our 199 issue of the openSUSE Weekly News. so the openSUSE Project has been using the automated testing framework openQA to test this release daily! help new testers learn the trade but also give experienced testers some new tips and insights! editing section, which allow you to edit boot, build scripts and AutoYaST configuration XML. They released recently a client for Linux (both 32bits and 64bits), and it could be added to the non-OSS repository. I am not the person who does distro upgrades because I like to have a fresh system when a new version is out. I have a seperate home partition, so I only have to install the system and mount my home. After setup there is always the same procedure: I have to reinstall all the software which I use at my daily work and which not has been installed during setup. So I have a txt-file with a list and install every package manually. This is stupid work and often I forget something and notice is later. That is annoying. For most of us WEP encryption has become a joke. WPA is quickly going the same way thanks to many tools such as Aircrack-ng. On top of this, wired networks are no strangers to unwanted guests as well. Anyone serious about security should have a good Intrusion Detection system in their toolbox. Last week I updated the libvirt package for openSUSE12.1 RC1 / Factory to version 0.9.6. Also new to this libvirt update is opt-in for Apparmor confinement of qemu instances. â€˜apparmorâ€™. Of course, selinux is also available if users prefer it over Apparmor. information and pointers to get started. location and setting up the wifi controllers sponsored by Aeroaccess. The title this time is not a link to a single thread, but to the Pre-release/Beta subforums. Reason for this is the growing number of threads concerning the upcoming release of openSUSE 12.1. More and more people are starting to try and test the RC1, reporting issues, or complete success. Until the official release this subforum will be the one to watch if you’re interested in user experience, problems etc. Not all of us have a high speed, stable internet connection. This thread reports download errors, which result in corrupted iso files, install media not passing the media verification etc. Bypassing a corrupt download is not possible, sometimes it can lead to unwanted surprising results. There’s a couple of posts in this thread with useful tips for those users who meet trouble in this area. The openSUSE forums are the place where support in using openSUSE can be found. Here we have an example of what “support” can imply. A user asks the other members for advice on buying a new video card. There are numerous sites to check hardware compatibility for linux, but this is a nice way as well, just ask the others for their suggestions. Iâ€™m happy to announce that the Qt Project officially went live today. 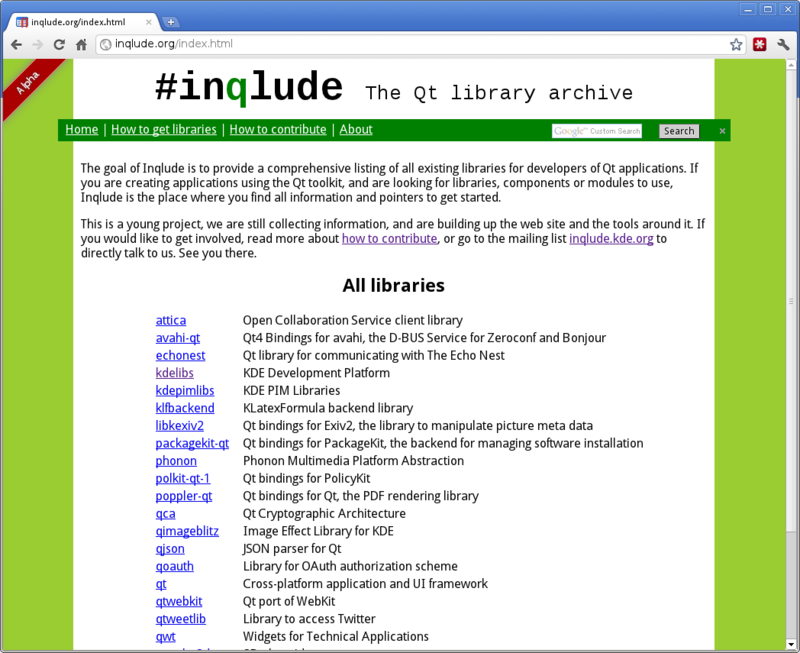 Starting today, development of Qt will be governed as a true open source project. You can add SUSE to the long list of vendors that with OpenStack solution. OpenStack is the open source cloud platform that now has well over 80 member companies participating. What SUSE is doing is interesting, in that they’re making an OpenStack distribution available. Many people use Linux every day and never know it. Indeed, theyâ€™re often using Linux without even knowing theyâ€™re using a computing device. For years now, Linux has been the operating system of choice for Digital Video Recorders (DVR)s, DVD players, Smart TVs, Wi-Fi access points, GPS devices, and on and on. But, thereâ€™s never been a Linux kernel just for consumer electronicsâ€¦ until now. This week, SUSE announced that it had joined OpenStack and today the company announced a development preview of SUSE Cloud which is powered by OpenStack. With the green team at SUSE behind OpenStack, along with Canonical, does that make OpenStack the de facto open source cloud? Not so fast â€“ I wouldn’t count Red Hat out just yet. Skype, now under the control of Microsoft, has announced a new developer preview of SkypeKit. It surprisingly brings good news for Linux users. SkypeKit allows desktop applications to integrate Skype functionality into partner applications while the Skype desktop API allows developers to extend the functionality of the Skype client. SkypeKit was originally rolled out in June to help Skype in the consumer electronics industry. Skype developers have been working to improve SkypeKit since and today released a developer preview of SkypeKit 4.02. This new version does bring video APIs to “SkypeKit for Desktop”, so that developers can build in native Skype functionality into their own applications for handling video calls. There’s also a new “Skype App Directory” that’s being rolled out too. Network World/Rikki Endsley: Open Source: You Know, For Kids! A few years ago, when I was working as a print magazine editor, a young girl approached my booth at LinuxFest Northwest in Bellingham, Washington. She was probably 12- or 13-years old, and she gave me some of the best feedback I’d ever had on our products. While spam continues to be a major problem for email providers and consumers, spammers have come up with a new way to hide links and slip through the spam filters. Idea for OpenSuse Weekly News issue 200 discussion. Open SUSE should ditch the Moonlight-repository of this completely unusable Silverlight-implementation for Linux. Unfortunately many websites use Silverlight for playing back flash-content, but the Moonlight-project always is lacking far behind the newest Silverlight-versions. The current Moonlight-version 2.4.1 is fully obsolete. Version 4 Preview is unstable and is not compatible with the latest Firefox-versions. It seems the Moonlight-project itself has died already. Besides that Micro$oft Silverlight is crap like Adobe Flashplayer is. Let’s wait on the overall implementation of HTML5 video and let’s fire the Moonlight-developers. And to Novell/Attachmate: this kind of coÃ¶peration with Microsoft doesn’t make any sense. At least not for an average OpenSUSE user like me.